Merry Christmas, everyone! Thank you for the nice comments and holiday greetings. 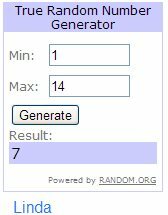 Random.org picked our winner today. Congrats to Linda! An email will go out to her on how she can collect her winnings. If you’d like to own this latest collection, be sure to stop by Scrap Orchard to pick it up. Until next week’s peek please enjoy making those last 2013 memories! Love the title and theme! Merry Christmas!! Looks great!!!! Thanks for the chance to win it!!! I absolutely love the colors! Thanks for a chance to win! Love it! Merry Christmas and thanks for the chance to win! What a lovely kit. Merry Xmas to you all!!! Merry Christmas! this looks fantastic! thank you so much for the chance! Merry Christmas! Love the kit, the colors are amazing. Thank you for a chance to win. Happy Holidays! What a fun kit, love the colors. Thanks you for all the time you put into designing amazing kits. Merry Christmas! Love the kit. Thanks for the chance to win. So fun. Thanks for the chance to win it. Love the title. Looks great for some year in review pages!